Plastic Baskets, Leather for Rottweilers, Pit Bulls, German Shepherds, Dobermans, Bull Terriers, Golden Retrievers, Labs and all size dogs! 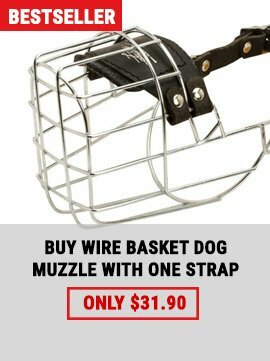 The advantage of training your dog to accept the muzzle and ignore its presence on his face is that this will remove 95% of the stress from wearing one. 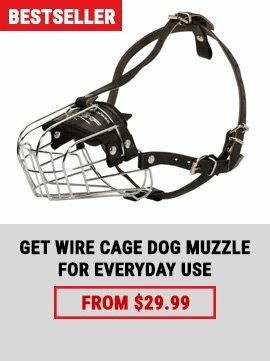 The circumstances in which you may later really need to use a muzzle include some which are inherently highly stressful, eg the seriously injured or frightened dog, so the dog already accustomed to being muzzled will be spared the added stress of this unfamiliar constraint. 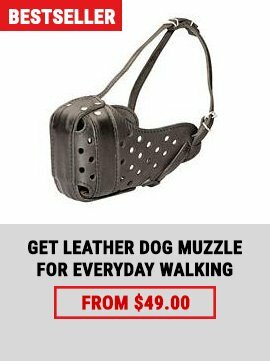 There are many other situations, discussed below, in which use of a muzzle can prevent problems or make the otherwise impossible possible and the otherwise untrainable amenable to training while minimizing risks to other dogs and people involved in the training.